Now fans can find out what Amelia Bedelia was like when she was a little girl just starting school. In the picture book Amelia Bedelia's First Library Card, young Amelia Bedelia and her classmates visit the library. Exploring the shelves of books, volunteering at the front desk, and meeting the librarians is so fun! But Amelia Bedelia's favorite part is getting her very own library card. 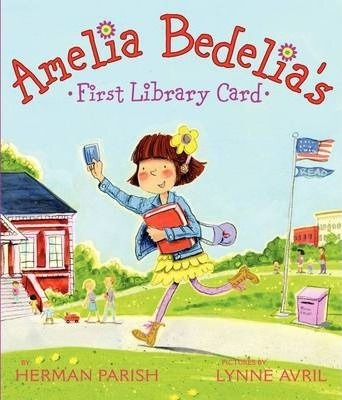 Amelia Bedelia's First Library Card is a love letter to reading, libraries, librarians, and books. Amelia Bedelia is sure she will love everything about the library. A class trip to the library!